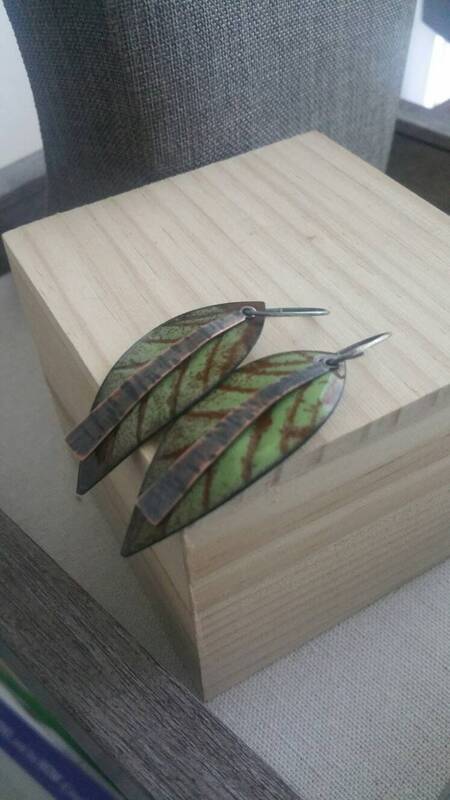 The sides are filed and buffed. 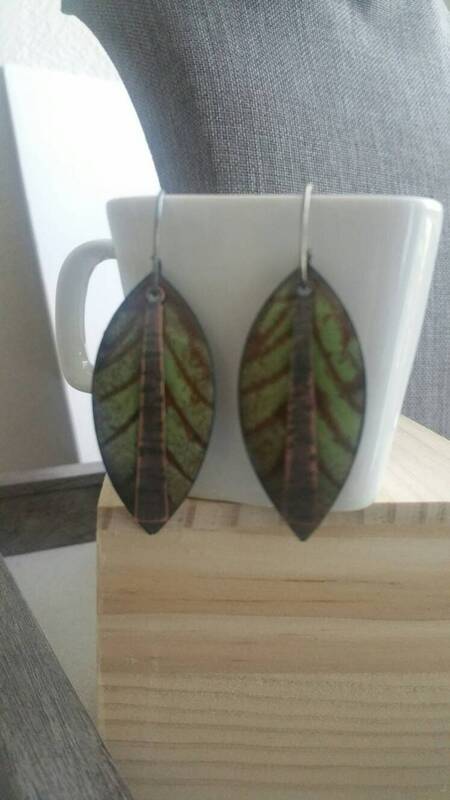 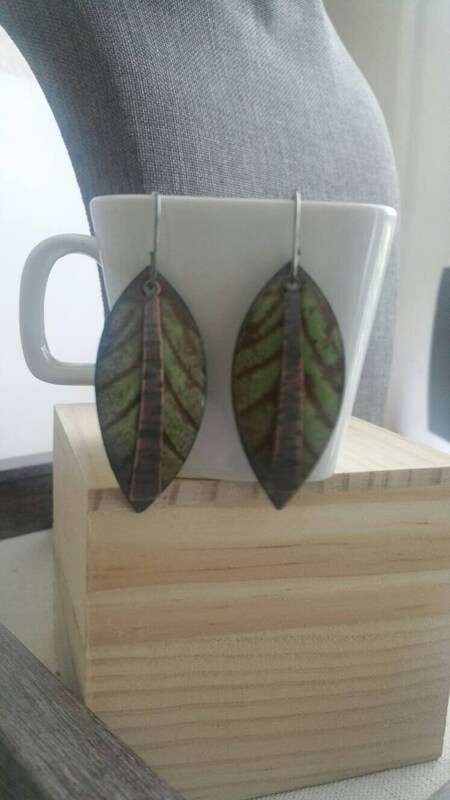 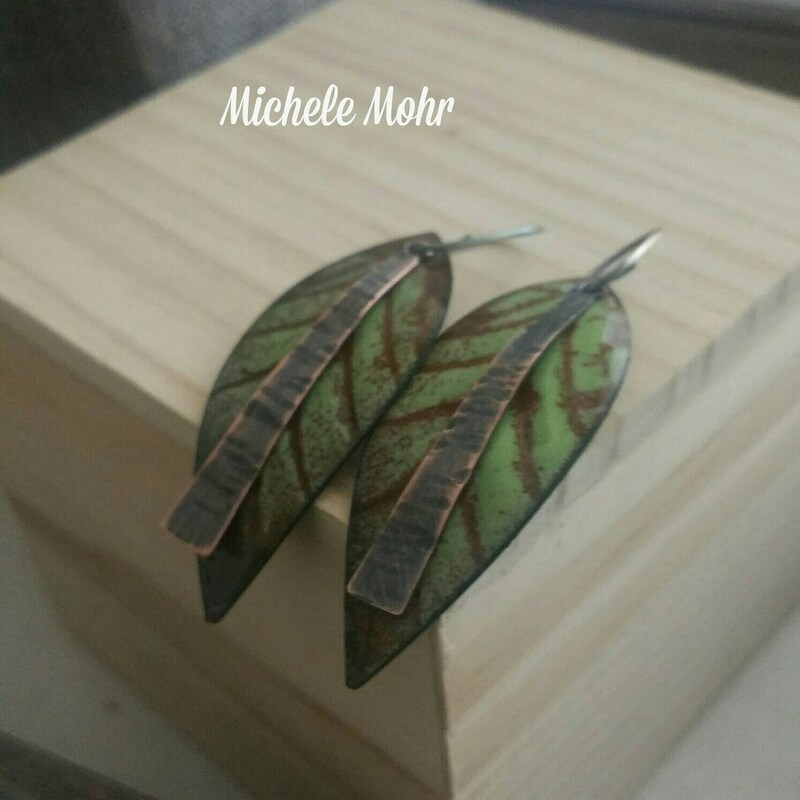 The leafs are then pairedwith hand hammered and oxidized copper triangles and hung on oxidized handcrafted ear wires which were hand formed, hammered and ends filed. 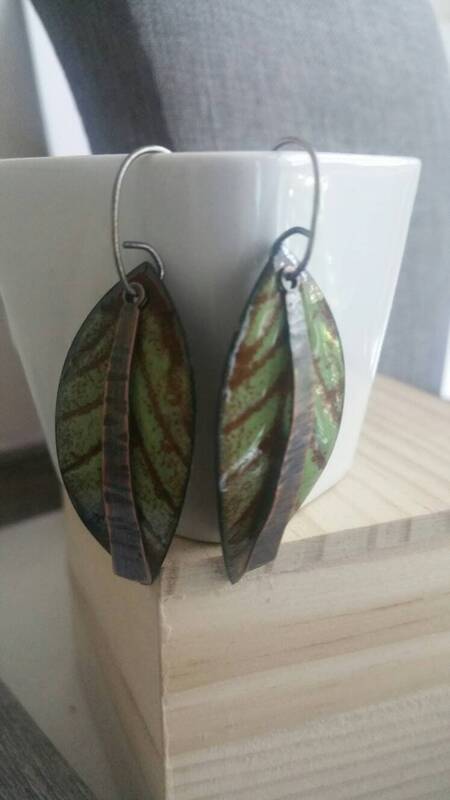 They are then oxidized with liver of sulfur and sanded to give rustic oxidized color.